Kylie Jenner is anticipated to become the world’s youngest billionaire following her success on Keeping Up With The Kardashians, brand endorsements and her very own line of cosmetics, so when she does go out to celebrate her birthday, or attend a soiree, its going to be a monumental night on the tiles. 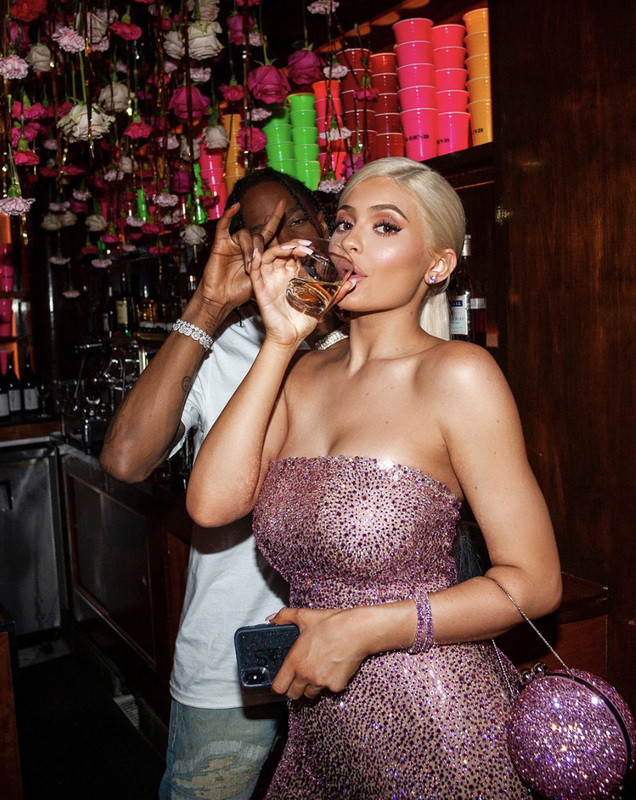 Turning 21 last week, Kylie went all out and celebrated with her equally famous family over two glamorous evenings. What Kylie wears is speculated upon by the press and her fans alike who all want a piece. This year, the young mother of one, partied in a two piece, pink crop top and cycling shorts set covered in 70,000 Swarovski crystals, by couture brand, LaBourjoisie and finished the look with an equally bling-esque bag. Kuwaiti accessories label, Marzook, are responsible for Jenner’s crystal encrusted orb bag. The accessories brand is the brainchild of designer siblings, Fahad and Shouq Al-Marzook whose creations have been seen on the likes of Amal Clooney, Lupita Nyong’o and Cara Delevingne. Kylie’s bag by Marzook, a spherical shape including a detachable chain, costs a whopping $2,495 and is reportedly sold out! She was seen sporting the accessory in uploaded pictures from her weekend, as partied the night away with her famous sisters and a number of stars including, Ashley Benson, Chris Brown, Dave Chapelle, Jordan Clarkson, Kevin Durant, Bella Hadid, Winnie Harlow, Sophia Hutchins, Caitlyn Jenner, Stassi Karanikolaou, Draya Michele, French Montana, The Weeknd, Kanye West and Jordyn Woods. On the reality show, KUWTK, Kylie Jenner also celebrated being a part of the renowned Forbes list of America’s Richest Self-Made Women with her estimated net worth of $900 million, which many critics were quick to dispute.